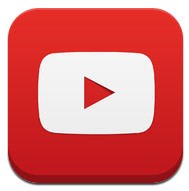 The app store is inundated with thousands of different apps for Numeracy. Some are fantastic, some not so but generally a lot follow a game like structure to help with quick calculations of the four operations. These are a great way of engaging children and giving them instant feedback so they can rectify any misconceptions straight away without having to wait for the teacher to mark their work. However I sometimes find it harder to download great apps to use for more complex maths lessons, problem solving for example. I have found some apps that are great for problem solving which have provided some really engaging and stimulating lessons where the children have been able to develop key thinking skills to help them with their Numeracy. Sport Adverts to Encourage Writing - Engage those reluctant boys! I am always looking for different ways to engage and motivate children to write and try to provide an engaging hook for the reluctant boy writers, sport is always a great way of engaging some, not all, and can motivate boys to write as it is something they are interested in. From day one of using iPads in the class, Doodle Buddy has been one of my favourites, especially for children Key Stage 1. The app is a free drawing tool, that allows you to use your fingers to draw with a brush, chalk, glitter and smudge tool. The app allows you to also stamp lots of lovely pictures which all have their own sounds which keeps younger children amused for hours! You can also add shapes and text. There are numerous backgrounds to choose from as well as adding your own pictures. To begin with, I used it as a way for the children to get used to using the iPads getting used to using the touchscreen and also importing pictures that they had taken using the camera to make some funny and unusual self portraits - See lesson here. 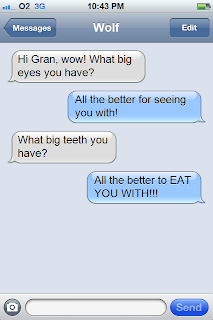 Teaching Direct Speech Punctuation using the iPhone text messaging! Teaching direct speech is always a tricky aspect, there is so much to remember and very few useful visual pictures that clearly help children know what and how to use speech punctuation properly. The words that are spoken have to go within the speech marks.Any punctuation needs to also go inside the speech marks.A reporting clause, who and how they said it can go before, middle or end.A comma follows the reporting clause at the beginning.You need to start a new line when a new character speaks. I think that is most of them?? I have heard of endless different ways to try and get children to remember these tips - keeping the sheeps in the pen or speech mark sandwich which are a couple of examples however they do not have any visual help for tips such as starting on a new line, which is something some of my children find hardest to remember. Fruit Ninja - Endless possibilities in Numeracy! 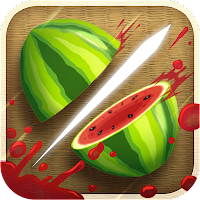 Over the past few weeks, I have been using the game Fruit Ninja as a way of engaging children in their numeracy lessons. You may have read how I have used other popular iPad games such as Temple Run and Angry Birds as a stimulus in Literacy and Numeracy - to read more about it please click here. What I have found from using these games is that the engagement and motivation from the children in the lesson is incredible. Letting them play a quick 30 second game has them completely hooked! This game is perfect for numeracy as the game generates numbers, numbers and numbers which can be used in so many different ways. The game is simple yet very addictive - children simply swipe their fingers to chop the fruit scoring points as they do so. The game allows for single and multiplayer and here are some of the activities you could do using Fruit Ninja in Numeracy. Like most people I absolutely love a good board game. Many a Christmas has been spent playing, enjoying and reveling in entertaining games with close friends and family. They never seem to disappoint, they always bring the family together and are great for improving team work and collaboration skills. It has made me think about how could they be integrated into the classroom??? The three board games that I am going to talk about all have fantastic potential in the classroom. Although they are aimed at adults the rules for the games can be easily adapted by teachers to fit in with most curriculum areas. Learning your times tables is one of the most important and fundamental aspects of Numeracy. It spreads right through the Numeracy curriculum and without a solid understanding and quick recall can leave children struggling in many other aspects of maths. There have been many different methods and ways suggested for children to learn their tables but it is sometimes hard to justify to a 6/7 year old why they need to know them. However if you say that by knowing their tables they are able to save the world, it certainly gets a different reaction! There are possibly hundreds of different apps on the market for children to practise times tables and I have probably only used a fraction of what is out there, but the reaction from the children from using these apps have been amazing! They are eager to know their times tables, they feel a need to learn them and most are using the apps at home. One of my favourite things to start a lesson with is a little bit of Times Tables rapping.